The Professional VisionCare and Solution Center clinics grew out of a passion and devotion to provide our patients with the best sight. 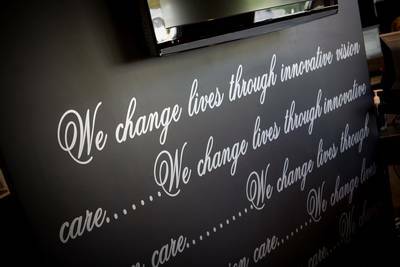 Our ‘vision’ was to create an environment that not only delivered state of the art optometric care but was a place where young and old alike would receive friendly, stress free care, all delivered by highly skilled, like minded doctors. Our Professional VisionCare and Solution Center eye doctors are dedicated to partnering with you, our patient, and taking the time to educate you about your eye and vision care. We strive to create a comfortable and open environment to make each and every visit a pleasant experience. And of course we are all committed to staying up to date on the latest trends and developments in the field of eye care, in order to provide the most advanced vision care options to suit your needs. Please don’t forget – it is important that you schedule an eye exam on a regular basis since many eye and vision problems have no obvious signs or symptoms. Contact us today to schedule an appointment. You can visit our practice at any of our three primary care locations in Westerville, Lewis Center and Johnstown, OH. We also provide advanced pediatric eye care and vision therapy at The Solution Center in Johnstown. We also serve patients from Sunbury and Worthington, Gahanna and New Albany OH. When you schedule an appointment with our office, we prepare your records and reserve the doctor's time to provide you the care you deserve! We understand that changes in your schedule may occur, and we ask that you contact our office as soon as possible if you need to reschedule your appointment.